As the best performing inflation protected bond mutual fund, PIMCO Real Return Asset Fund uses its assets to buy inflation-indexed bonds of varying maturities issued by the U.S. & non-U.S. governments, and corporations. Its total net assets are $637 million. The fund’s yield is 1.50%. The fund manager is Mihir Worah. The expense ratio is 0.55%. Ranked with 5 stars rating, its year to date return is 13.69%. Based on load adjusted returns, this top bond fund has returned 14.46% over the past 3-year, and 11.04% over the past decade. The fund’s average effective duration is 10.75 years. GMO Inflation Indexed Plus Bond III fund is the second top fund in inflation protected bond category. Its objective is to provide total return in excess of that of its benchmark. It uses the Barclays U.S. Treasury Inflation Notes Index as its benchmark. Its yield is 3.46%. The current share price is $15.66. The portfolio turnover rate is 69%. Morningstar has ranked this top performer bond fund with 4 star rating. Its YTD return is 13.5%. The top 2 holdings are GMO Short Duration Collateral (21.59%) and GMO World Opportunity Overlay (19.83%). The 3 year beta risk is 1.33. Lord Abbett Inflation Focused Fund invests majority of its assets in a portfolio of inflation-linked derivatives and inflation-indexed fixed income securities. This Lord Abbett fund has an expense ratio of 0.78%. You can buy the mutual fund with $1,500 initial funding. The front end sales load is 2.25%. The total assets are $568 million. 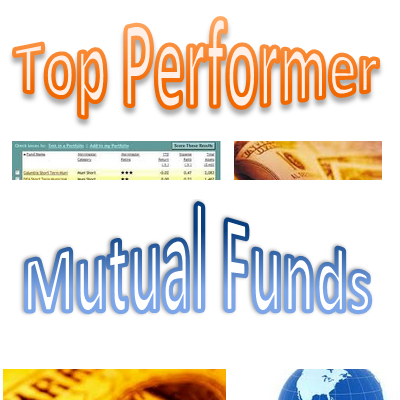 In 2012, this best performing inflation protected bond mutual fund has a YTD return of 9.87%. The fund has an effective duration is 1.90 years. The top 3 bonds in its portfolio are Georgia-Pacific 144A 8.25%, Lb-Ubs Cmbs 2006-C7 CMO 5.378%, Greenwich Cap Cmbs 2007-Gg11. PIMCO Real Return Fund aim is to provide maximum real return through capital preservation and prudent management. This mutual fund has $25.83 billion of assets. The fund has a yield of 1.79%. The fund inception date is January 28, 1997. This mutual fund is also managed by Mihir Worah. The minimum initial investment is $1,000. Investor, who wants to invest in this fund, can buy from 129 brokerages. Some of the brokerages are TradeStation Securities, H&R Block Financial Advisors Inc, Ameriprise Brokerage, JPMorgan, Pershing FundCenter, Firstrade, etc. The fund’s NAV is $12.27. Harbor Real Return Fund is similar to PIMCO Real Return Fund. The fund’s objective and portfolio are similar. It is managed by Mihir Worah. There are several differences. Some of the differences are no sales load and low expense ratio of 0.60%. This taxable bond fund has a 5 year annualized return of 7.53%. It is ranked with 4 stars and gold rating. If you invest $10,000 in this fund 3 years ago, your investment would have grown to $12,962. 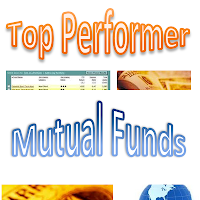 This top performer inflation protected bond mutual fund has the lowest expense ratio in this list. Vanguard Inflation-Protected Securities Fund has a low expense ratio of 0.20%. Ranked with gold rating, it has a yield of 2.49%. The portfolio turnover rate is 28%. There is no sales load. The fund has a 52- week price range between $14.09 and $15.19.